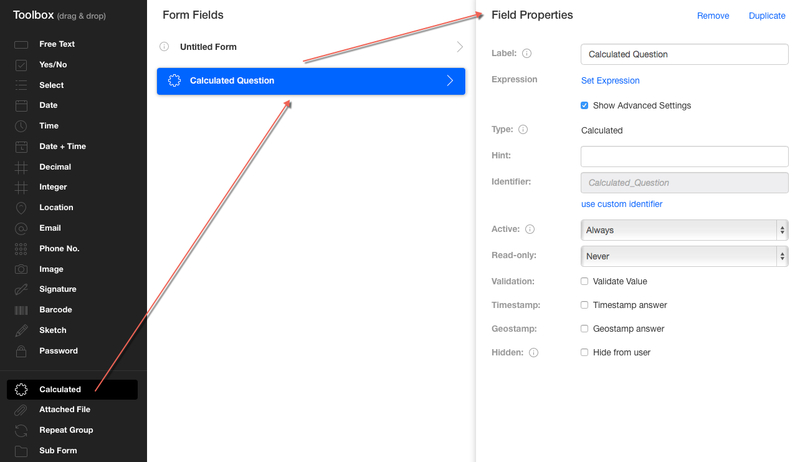 The Calculated Field is for calculating values, based on values provided or the outcome of other questions within your form. Please note, you can take this a step further and round your answer (ex. ROUND((Time_Out - Time_In) / 3600, 2)). In this example, your answer would be rounded to the nearest hundredth. Hide from User - Hidden questions are not visible to the user, but they are still active based on the active rule. They may be used in calculations and the answers will be included in the submission.